Taika Waititi made a pretty funny joke about James Gunn www.mmdst.coming back to write and direct Guardians of the Galaxy Vol. 3. Last summer, Disney fired Gunn after some old tweets of his resurfaced featuring some truly tasteless jokes on the topics of pedophilia and race. The director claims they were from a time when he was trying too hard to be edgy and funny on the social media platform. While Gunn was away from Disney and Marvel Studios, there were quite a few rumors about who would be taking his place. One of the names that came up more than once to replace James Gunn on Guardians of the Galaxy 3 was Thor: Ragnarok director Taika Waititi. And this makes sense, Waititi would have been the ideal replacement for Gunn and Marvel Cinematic Universe fans seemed to get excited about what the director could bring to the table. It had even been reported that Waititi had met with Disney to direct Guardians of the Galaxy 3, which was obviously false. In a hilarious reaction to Gunn getting rehired, Waititi said, "What the hell?? I thought I was going to do it!!" Along with the news of James Gunn's return to Guardians of the Galaxy 3, it was also revealed that Marvel Studios never met with any other directors to take on the project, which means that Taika Waititi was probably never in the running to direct. This also means that the director was having a lot of fun with his directing rumors as he reacted to Gunn's reinstatement. When Waititi met with Disney, it was more than likely a chance to talk about his episode of The Mandalorian TV series. When asked about directing Guardians of the Galaxy 3 over the past few months, Taika Waititi would shoot the rumors down and he defended James Gunn publicly multiple times. The director declared on numerous occasions that Disney should have never fired Gunn over the old tweets that were over a decade old. Waititi was not alone in his thoughts. Guardians of the Galaxy star Dave Bautista was one of the more vocal champions of Gunn over the past several months, along with the rest of the cast and crew. Guardians of the Galaxy 3 would already be in production at this time had James Gunn not been fired. As it stands now, it's beginning to look like the highly anticipated movie won't hit theaters until 2023, which is pretty far away. 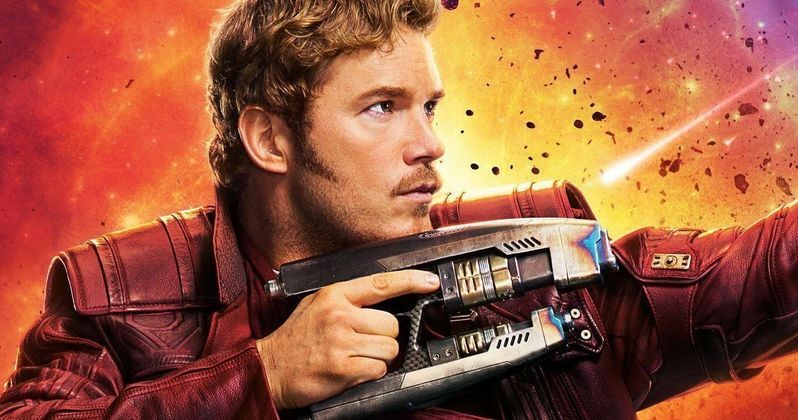 That is speculation, but it looks like it will still be a long wait no matter what, especially considering the fact that Gunn has signed up to direct Suicide Squad 2 for DC Films and Warner Bros. You can read the hilarious reaction to James Gunn's rehiring below, thanks to Taika Waititi's Twitter account.